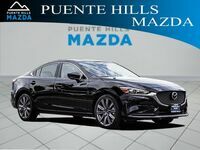 The new Mazda6 has been on our lot for a little while now, and we are still in love with it. The newly-designed, turbocharged sedan is the best version of the car yet. 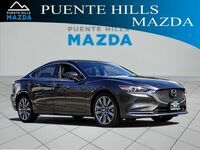 We already know that the Mazda6 is efficient, affordable, stylish, and practical, but how does it stack up against its competitors? Our never-ending customer service includes model research. We want the car shopping experience to be as easy as possible for you. 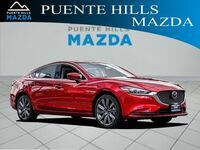 That is why we have put together this page that shows some of the main differences between the Mazda6 and the 2018 Hyundai Sonata. Both cars are almost identically sized and feature similar engine specs. Check out what our research found and determine what vehicle is better for you! 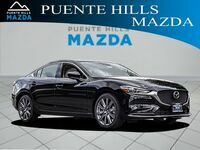 While the base Mazda6 is slightly less expensive than the Hyundai Sonata, it comes with many more standard features. These days, in-car navigation is a big deal. MAZDA CONNECT™ features navigation, music, weather, and other programs that make your drive as modern and convenient as possible. 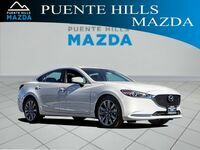 The Mazda6 also comes with two front LCD screens compared to the Sonata's one. 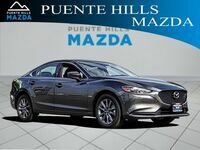 When drivers upgrade to the Mazda6's turbocharged engine, they will enjoy a 224 horsepower, 2.5-liter I4 engine, which is almost equal to the larger engine option of the Sonata. Both cars are also efficient as they each average over 30 MPG on the highway. 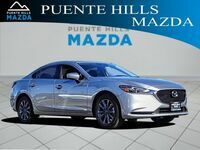 With all other things relatively equal, the Mazda6 comes out ahead in terms of technological features. 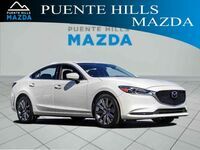 Come on by Puente Hills Mazda in Industry and check out the Mazda6 for yourself. For years, drivers and salespeople alike were hoping for a turbocharged engine. Schedule a test drive and find out what that turbo feels like. Give us a call or stop by soon!